From time to time, GlоbeCоre inspects the equipment it has sold directly on the operating sites of its customers in order to monitor the long term condition of the equipment and gauge customer satisfaction. Such check outs allow the company to get the customer’s comments as well as some technical information that can be useful while improving existing units and developing new ones. At the beginning of December 2014, the managers of GlоbeCоre had a business trip to Uzbekistan, where the CMM-1.0 mobile oil station had been operating for five years. This equipment is used to remove water and mechanical impurities from dielectric insulating oil. 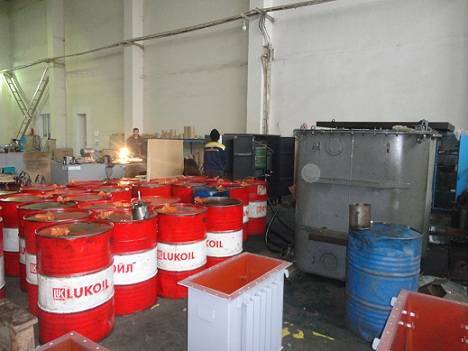 The check out showed that the CMM-1.0 unit had processed many, many tons of transformer oil during its five year service life. The customers from Uzbekistan described the GlobeCore equipment to be reliable and effective and can reasonably expect to containue receive many more years of reliable service.